Gran Canaria is like a small continent. A world in miniature with landscapes so diverse that they seem taken from different countries. An island of beaches and mountains. A place in the ocean with its own and particular culture. Come and enjoy one of the best Hotels in Gran Canaria for your holidays! During some winters it’s even possible to enjoy taking a dip in the sea while contemplating the snow on the mountain peaks. This microclimate is one of the main attractions of the island, as it has landscapes which are suitable for a multitude of activities. One of the mandatory destinations is, of course, the capital of the island, the city of Las Palmas de Gran Canaria, with nearly four hundred thousand inhabitants, it is the most populated city of all of the islands and also the cultural and historical capital of the archipelago. There you can visit the house of the sailor Christopher Columbus, where he prepared his trip to the East Indies. Do not miss the historic quarters of Vegueta and Triana, where you will be pleasantly surprised by the Cathedral of Santa Ana, a successful mixture of Gothic and Neoclassicism style. If you want to relax on one of the best urban beaches in the world, you can do it on Las Canteras beach in Las Palmas de Gran Canaria. If you want to see something different, visit the dunes of Maspalomas in the south of the island. Do not forget to enjoy the paradisiac golf courses of the island. 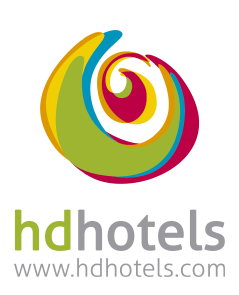 Enjoy your holidays in one of best hotels in Gran Canaria, the HD Parque Cristóbal Gran Canaria. Gran Canaria is an island that brings together various types of climate and a large variety of landscapes. The coastal areas, which enjoy warm spring temperatures all year long, are very popular with the European visitors who travel to the island to enjoy the sun and receive the benefits of health and wellbeing. In addition, the traditional idyllic experience of “sun and beach” can be combined with routes through extensive natural landscapes: ravines, craters, green routes through valleys and pine forests, etc. Enjoy your holidays to Gran Canaria in one of our hotels and discover these wonders. Gran Canaria has one of the largest populations of the archipelago. The capital of the island, Las Palmas de Gran Canaria, is in the north of the island. Here, the tourists are able to come into contact with the city life of the islanders, visit art centres, visit historical sites, go shopping, have tapas, go to concerts or surf at one of the best city beaches in Europe, Las Canteras. According to a study carried out at an American university the capital of Gran Canaria is the city with the best climate in the world. The tourist municipalities of San Bartolomé de Tirajana and Mogán are in the south of the island, with places like Maspalomas, Arguineguín, Puerto Rico and Amadores, amongst others. The most demanded tourist attractions here are: long beaches, theme and family leisure parks, swimming pools, wellbeing, health and beauty offers, commercial centres, discotheques, sports, sea activities and theme restaurants. Stay in one of the best hotels in Gran Canaria, the HD Parque Cristóbal Gran Canaria, in the heart of Maspalomas to enjoy the endless possibilities of the island. Our hotel is located in one of the best locations of the island and it is designed so you can visit every interesting spot. In the interior of the island, rural tourism is rich in small historic centers such as Teror, Arucas or Agüimes.